How to Use Essential Oils for Hair Care? 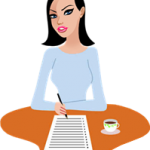 You are here: Home / Beauty & Style / Hair Tips / How to Use Essential Oils for Hair Care? Hair problems have become a common issue in every society. The increasing amount of stress in our daily life, improper food habits, sedentary lifestyle as well as the increasing amount of pollution in the air, all collectively can be blamed for the hair problems that many of us are facing today. While previously it was only the aged who ever worried for their hairs, now hair problems are common even amongst the girls and guys in their 20s. So, taking the right care of your hairs, irrespective of your age, has become really important. This is where the essential oils pitch in. Why use essential oil in hair care? We all know that most of the hair care products available in the market come loaded with chemicals in some form or other. These products might show quick action, but in the long run, these chemicals are sure to harm the hairs. On the other hand, the essential oils are plant derived and completely natural which makes them free from side effects. Essential oils have multifaceted actions on hairs and scalp. They can help in banishing scalp and hair dryness and can also cure scalp infections. They can help in preventing hair fall and premature hair greying. Essential oils are also known to boost hair growth, and they can even treat partial balding when used religiously. These effects of essential oils on scalp and hairs have been proven through scientific studies. Apart from boosting your hairs and nourishing them from the roots, essential oils also help in calming the senses and relaxing the nerves, when applied to the scalp. This helps in releasing stress. Stress is one of the primary reasons for hormonal imbalance in the body, which naturally triggers hair fall. So, by using essential oils in hair care, you can get multi-faceted benefits to get beautiful hairs. Lavender essential oil helps in rebalancing the natural scalp oil level and hence it can be helpful for treating dry as well as oily scalp. Moreover, it is known for its antiseptic and anti-inflammatory properties which make it ideal for treating scalp conditions like the flaky scalp, scalp itching, and scalp pimple. Regular use of this oil can boost hair growth leaving your hairs soft and nourished. Rosemary essential oil has high anti-oxidant content, and it is most effective for treating premature greying of hairs. It is also one of the best essential oils that are suggested for controlling hair loss and promoting hair growth. This oil stimulates blood circulation in the scalp which helps in removing dandruff. The toning effect of this oil helps in unclogging the pores on the scalp and helps in treating scalp pimples too. Chamomile essential oil has a calming action on the senses. This essential oil is mostly used to nourish the scalp and hairs. You can use chamomile essential oil to treat dry scalp and brittle hairs most effectively. It is a perfect essential oil to be added to your winter hair care in order to ensure proper nourishment and health of your hairs. This particular essential oil is also known for its ability to eliminate lice completely. The most vital action of clary sage essential oil for which it is highly praised in hair care is its ability even to reverse premature balding. This essential oil can stop hair fall and boost new hair growths. Moreover, it helps the scalp to balance the oil levels thus making it effective for treating oily scalp as well as dry scalp problems. Clary sage essential oil is ideal for dry, curly hairs as it makes curly hairs frizz free and more manageable. The primary purpose served by thyme essential oil in hair care is that of promoting hair growth. This essential oil promotes blood flow to the scalp which helps in rejuvenating the hair follicles. The anti-microbial property of this essential oil also makes it effective in treating scalp infections like dandruff, scalp pimples, and itchy scalp. The Cedar essential oil comes with a woody aroma and is best used for treating hair loss and dandruff. Apart from dandruff, due to its strong anti-bacterial properties, cedar essential oil can be effective in treating any fungal or bacterial infection on the scalp. It can effectively reverse the effects of certain types of alopecia when used religiously. Cedar essential oil helps in balancing the excess oil secretion from the scalp and stimulates hair growth. It can also treat dry and flaky scalp efficiently. Lemon essential oil can be a staple item in the hair care of oily dandruff prone scalp. It has clarifying properties that help in reducing the oil secretion on the scalp. In addition to that, it can effectively work to cure the problem of dandruff and a number of other scalp infections. You can also use this essential oil for treating itchy scalp. Tea tree essential oil is often used in hair care particularly because of its anti-microbial properties. This essential oil can quickly cure the problem of dandruff, dermatitis and scalp pimples. It can cure yeast as well as bacterial infections on the scalp efficiently and effectively within just a few applications. As most of the times hair fall is triggered by scalp infections, hence using tea tree essential oil can actually control the hair fall caused due to scalp infections. 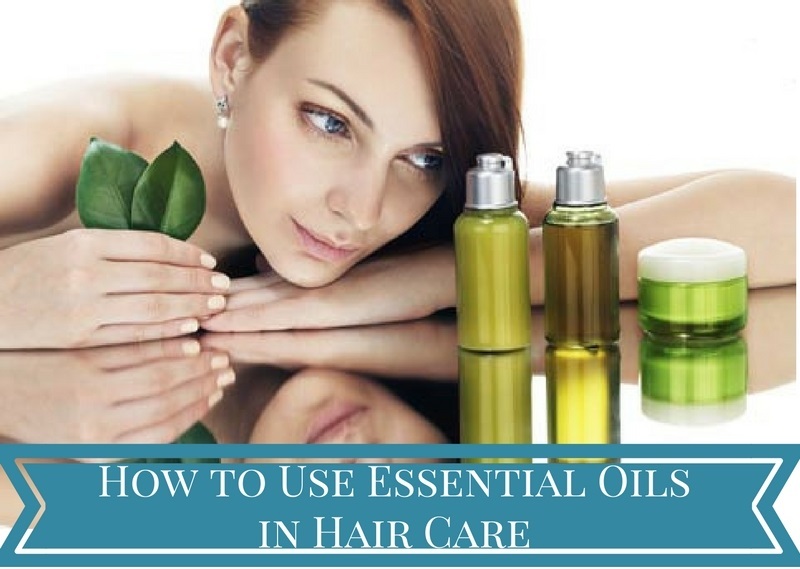 So, now as you know the best essential oils for hair care and their benefits, you should choose the essential oil according to your particular needs. You can also mix more than one essential oils together to serve all round purposes. Never use any essential oil directly on the scalp or hairs. Essential oils come in high concentration, and if applied undiluted, they can even harm the scalp and the hairs. You need to dilute every essential oil with a carrier oil before using it. The amount of dilution needed for an essential oil often depends on the strength of the essential oil to be used. According to the general rule, 12 drops of an essential oil should be added with 30ml of a carrier oil before using it on the scalp or hairs. You can use more than one essential oil together along with more than one carrier oil according to your specific needs, but in every scenario, you should maintain the above-specified proportion of essential and carrier oil to get the best results. Blending of the carrier oil with the essential oil is considered very important to ensure the best effectiveness of the essential oil. So, after you have added the essential oil with the carrier oil make sure to blend the two really well before application. Just like essential oils, there are also many types of career oils and it is important that you chose the right career oil according to your needs to get the best results. Jojoba oil, olive oil, and extra virgin coconut oil are considered amongst the best carrier oils for treating dry and damaged hairs. For treating dandruff you can use castor oil, olive oil, sesame oil or coconut oil along with the right essential oils. 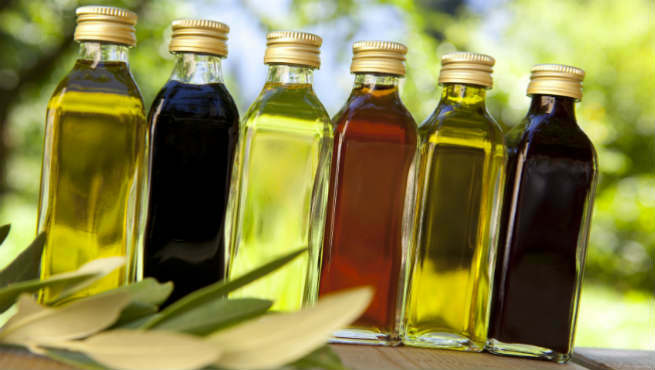 For hair growth, castor oil, olive oil, sweet almond oil and grapeseed oil are considered amongst the best carrier oils. One of the simplest ways of using essential oil in your hair care is to mix the essential oil of your choice with required quantity of carrier oil and use it for massaging the scalp and hairs. It is best if you take this essential oil massage at night, before going to bed and then wash off your hairs with a mild cleanser in the morning. Keeping the oil on your hairs for the whole night is a very good option to get the best benefits of the essential oil. When you are running out of time, and you do not have more than few hours in hand, you can easily opt for a quick essential oil hair treatment to get soft, smooth and problem free hairs. Prepare your essential oil by mixing it with the right amount of carrier oil and then massage it into your scalp and hairs. Soak a thick cotton towel in hot water, wring out the excess water from the towel and wrap up the hot towel around your head covering all the hairs. Leave on for 15 minutes and then remove the towel. You can wash off your hairs with a mild natural cleanser after 30 minutes. Essential oils are volatile in nature. Heating it up will only result in losing most of the oil. So, never make the mistake of heating up your essential oil under a flame when you are planning to get a hot oil treatment for treating your dry and frizzy hairs. Take the carrier oil that you will be using with the essential oil and heat it up in a hot water bath but not directly under the flame. Once the carrier oil has warmed up, remove it from the water and add the essential oil. Blend the two well and massage onto your scalp and hairs. Another easy way to get the goodness of the essential oils in your hair care is to add essential oils to your regular hair care products. Adding few drops of essential oils to your regular shampoo, conditioner or hair oil can be a good option to get the benefits. In this case study, the subject was a 22-year-old college girl who was suffering from heavy hair loss. Thin and limp hairs were her major hair problems. She also wanted to grow her hairs long, but her hairs were not healthy enough to grow sufficiently. She started using essential oil treatment a year back and also made changes to her regular diet to include more leafy vegetables, fresh fruits and protein. Within 2 months she started noticing changes in her hair and scalp conditions. By the end of the year she had problem free, healthy scalp and hairs. You can see from the picture, how her hair volume and hair length has also increased over time. This lady, in her mid-thirties, was tired with her curly frizzy hairs. She had tried all the means, including chemical and heat treatments to make her hair more manageable. While these treatments were able to bring a solution for some time, they were never long lasting. These treatments also triggered hair loss. This lady did not want to lose her curls, all she needed was frizz free and more manageable curly hairs. This 32 years old man was worried about the premature greying of his hairs. He started noticing hair greying as early as he approached the late 20s but was not really serious about it. After crossing the bar of 30, he suddenly started noticing more grey hairs. Hair colors were not an option for him as he was allergic to them. He started using rosemary essential oil along with Amla oil. It took him rigorous overnight essential oil treatment of a whole year to prevent the premature greying and after 2 years he finally had no reason to opt for the artificial hair colors any more. Hair loss and thinning of hairs can take a serious toll on your overall appearance and self-confidence. This 35 years old man was losing his hairs pretty quickly. Within few months his hair volume had gone down to half of what it used to be. Along with severe hair loss He also had the problem of itchy scalp. He started the treatment with tea tree essential oil and coconut carrier oil to get rid of the scalp infections. 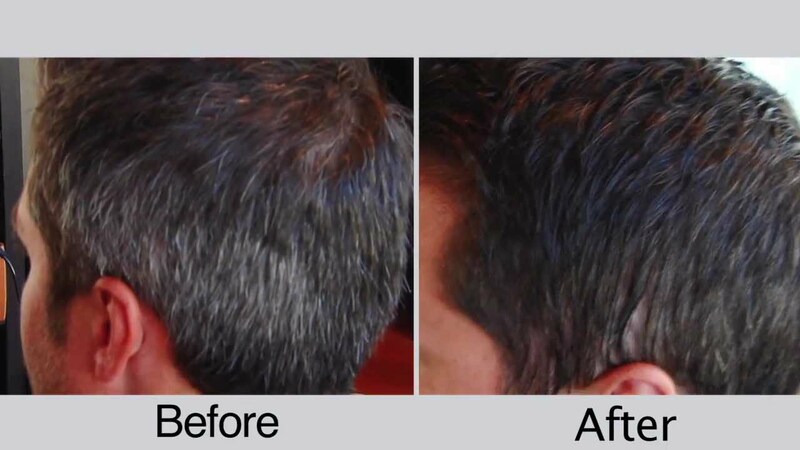 the man continued with this treatment for 2 whole months and then shifted to Clary Sage and Thyme essential oil treatment mixed with castor oil for hair growth. He opted for intensive overnight essential oil treatment procedure and it took him over a year to finally gain back his lost hairs to a significant extent. You can see the difference in the images above. The lady in this study had the problem of very oily scalp and hairs. It was not even a whole day that she could enjoy in fresh and voluminous hairs after shampooing. After listening from a friend she started using lavender and lemon essential oils along with sweet almond carrier oil. She was using the treatment only 3 days a week. Within a month of religious use she started noticing change in her scalp and hair conditions. After 6 months of use, her scalp and hairs were no more oily and limp all the time. Question #1 How frequently I need to use the essential oil treatment on my hairs? The frequency of use should depend on your needs. If you are suffering from heavy hair loss or scalp infections like dandruff or itchy scalp, it is best to take the essential oil treatment daily till the problem is cured completely. Otherwise, you can easily take this treatment every alternate day. Keep in mind, the more frequently you will use the treatment the more quickly you will get the results. Question #2 Is there any side effects of using essential oils in hair care? Essential oils are completely natural and organic and hence they bear no side effects, when applied externally. However, never make the mistake of applying an essential oil directly on your scalp or hairs. Always blend the essential oil with a proper carrier oil to reach the required dilution and then only use it. Question #3 How to make essential oil hair treatments more effective? To make your essential oil hair treatment more effective follow it religiously every day and also make sure that you take the right diet and maintain a healthy lifestyle. Your diet and lifestyle plays a very important role in your overall health which controls the hair health. So, junk diet and a poor lifestyle are sure to make your essential oil hair treatments less effective. Essential oils are natural products and hence for getting the best results it is important that you use them religiously. Question #4 What is the right age to start using essential oils on hair? You can start using essential oils on your hairs as early as you are a teen ager. If you are planning to use these oils on someone who is younger, it is best to talk with a doctor first. For using an essential oil for the first time, it is best to opt for a patch test just to ensure that you are not allergic to the active substances present in the oil.